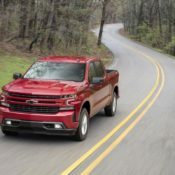 The new 2019 Chevrolet Silverado is undoubtedly the most advanced truck GM has ever built, and it shows with the engine lineup they have put together for it. 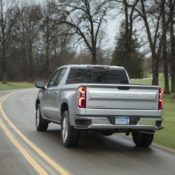 The handsome truck benefits from the latest and most sophisticated V8s in the brand’s history, plus a couple of six-bangers for pansies. 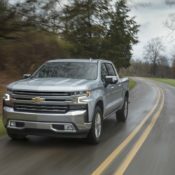 The 2019 Silverado can also be had with a new 2.7L Turbo engine that replaces the 4.3L V-6 in the high-volume Silverado LT and new Silverado RST, plus a Duramax 3.0L inline-six turbo diesel from 2019. 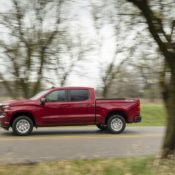 In terms of power figures, the 4.3L V-6 delivers 285 hp/305 lb-ft, the 5.3 liter V8 355 hp/383 lb-ft, and the 2.7L Turbo 310 hp/348 lb-ft. As for transmissions, the 4.3 comes with a six-speed automatic transmission, the 5.3 with either the six-speed or an eight-speed automatic, the 2.7 with an eight-speed automatic transmission, and the future diesel engine with a 10-speed automatic. 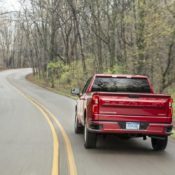 But the one you really want is the updated 6.2 liter V8 with 420 hp/460 lb-ft and a 10-speed automatic. LTZ — — — Std. Avail. Avail. High Country — — — Std. Avail. Avail. 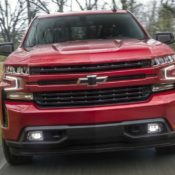 The post 2019 Chevrolet Silverado Specs: Six Powertrains, Eight Trims appeared first on Motorward.